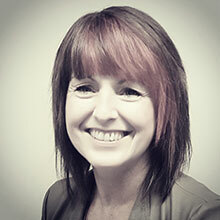 Mary joined the school of Healthcare Sciences/Centre for Health Economics and Medicines Evaluation (CHEME) Bangor University in September 2017 as a senior lecturer. Previously Mary worked as a lecturer in the school of Healthcare Sciences in Cardiff University from February 2014 until August 2017. Mary is a Registered General Nurse (RGN) and holds an MSc in Sustainable Rural Development and a PhD in Health Economics both obtained from Queen’s University Belfast. Mary obtained a Post-Graduate Certificate in Education (PGCE) for health professionals from Cardiff University. Mary’s main research interests relate to health economics investigating population and public health and wellbeing exploring behavioural choices and preferences using revealed and stated preference techniques. Mary is also interested in exploring public health preventative strategies, health evaluation in healthcare as well as valuing nature in contributing to public health and wellbeing. Mary is part of the research themes within Bangor Institute for Health and Medical Research (BIHMR). Nurse staffing levels in Wales: appraisal of extant evidence and analysis of historical and contemporary data from acute adult in-patient settings. (2014). Jones, A., Powell, T., Vougioukalou, S., Lynch, M., Kelly, D. £21,000. The human cost of cancer: addressing physical, emotional & financial implications of facing cancer when living alone. (2015). Vougioukalou, S., Hellyar, R., Lynch, M., Kelly, D.£28,600. The Stress Detective. Cardiff Festival of Social Science 2017 (in partnership with the ESRC). James, A., Hellyar, R., Lynch, M., Stacey Emile, G. £1,000. Barker, S., Lynch, M., Hopkinson, J. (In press, accepted 01/09/17). Decision making at the end of life for people with dementia by their informal carers: a rapid scoping review. International Journal of Palliative Nursing. Lynch, M. (2017). Are we missing an opportunity in Nurse Education? Nursing and Healthcare International Journal, 1 (2): 000112. Jones, A., Powell, T., Vougioukalou, S., Lynch, M., Kelly, D. (2015). Research into Nurse Staffing Levels in Wales. Welsh Government. Lynch, M., Longo, A., Hutchinson, W. G. (2011). Choice preference and physical activity. Journal of Epidemiology & Community Health 65 (Supp 2), pp. A36-A37. Longo, A., Lynch, M. and Hutchinson, W. G. (2011). The health benefits of improvements to the physical environment. Medical Decision Making 31(1), pp. HSR-24. Lynch, M., James, A., Stacey Emile, G. (2017). Pre-registration nursing students’ perceptions and experience of Structured Simulated Clinical Assessments as a method of assessment of competencies. HPSN International conference, Nottingham, UK. Lynch, M., James, A., Stacey Emile, G. (2017). Pre-registration nursing students’ perceptions and experience of Structured Simulated Clinical Assessments as a method of assessment of competencies. RCN Education Forum International Conference and Exhibition, Cardiff. Lynch, M. (2017). The human cost of cancer: addressing physical, emotional & financial implications of facing cancer when living alone. Involving People Network Annual Conference. Cardiff. Lynch, M. (2015). ‘The value of physical activity’. Welsh Therapies Advisory Committee Symposium, Cardiff. (Invited conference presentation). Lynch, M., Longo, A., Hutchinson, W.G. (2011). ‘Choice Preference and Physical Activity Behaviour’. Society for Social Medicine, Warwick University. Lynch, M., Longo, A., Hutchinson, W.G. (2011). ‘Using the Travel Cost Model and Contingent Behaviour to investigate the preferences for physical activity’. Society for Social Medicine, Warwick University. Lynch, M., Longo, A., Hutchinson, W.G. (2010). ‘The health benefits of improvements to the physical environment’. The 25th All Ireland Social Medicine Meeting, Belfast. Candidate: Mrs Claire Mc Carthy - Valuing the preferences of the patients accessing emergency care services: Evidence from revealed and stated preferences. Candidate: Mr Iwan Dowie - Co-production – reality or rhetoric?